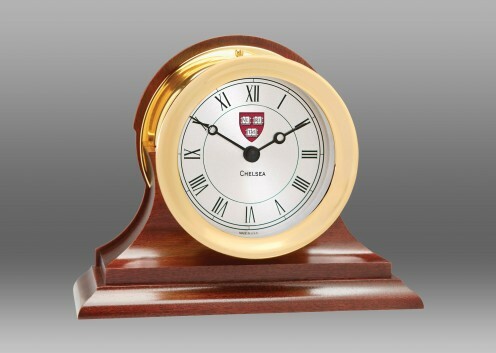 Named for the USS Constitution, the first ship commissioned by the U.S. Navy, this exquisite, nautically-inspired timepiece captures the grandeur and stately elegance of this celebrated vessel. 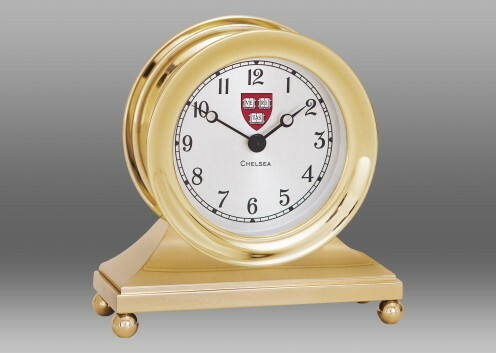 Its forged solid brass case hosts a softly reflective silver dial emblazoned with the Harvard Shield and classically-styled black numerals. 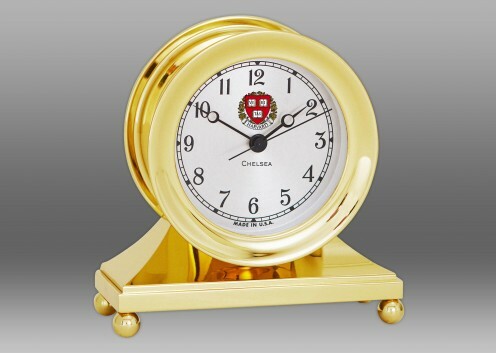 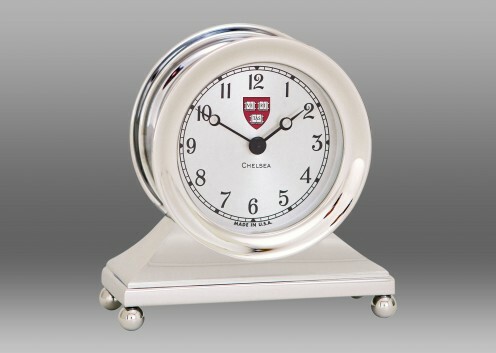 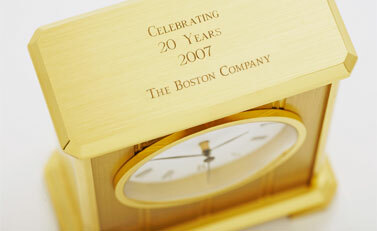 Refined details such as a stepped pedestal base and ball feet make this clock the perfect complement to any room décor.